1. With heavy-duty tubular steel frame, full welded and VSR processed, to ensure the structure stability, low inertia and no distortion. 2. 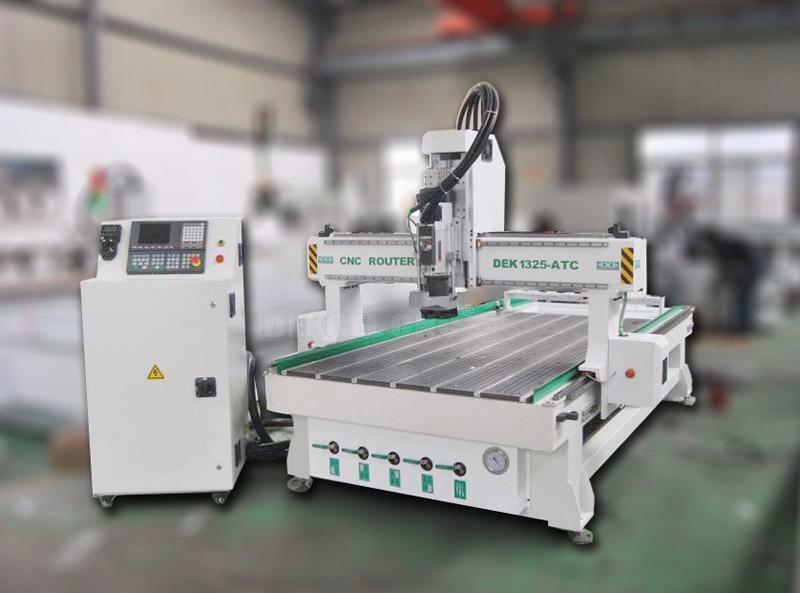 The machine adopts gantry movement, it can process any kinds of materials freely. 3. 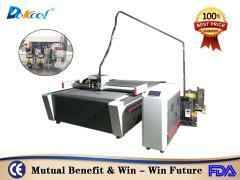 High precision, adopting execellent parts makes the fault rate to be the lowest one. 4. 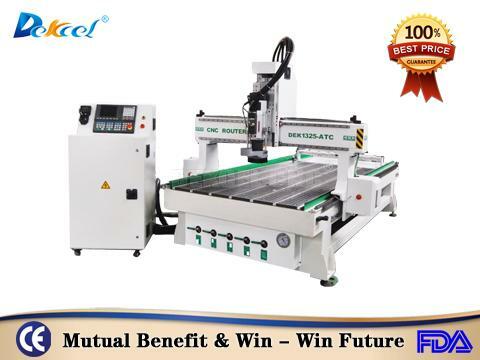 Equipped with high-speed spindle motor, high-performance division drive to ensure the long time and stable working. 5. HIWIN linear guide and sliding block, HIWIN dual screw-nut anti-gap rod with high accuracy, low noise, and long life. 6. Adopted with advanced controlled system, with simple operating software, it’s easy to learn. And the operator can check the real-time trajectory, plus or minus Z-axis depth in real-time, and adjust the motor speed conveniently. 7. 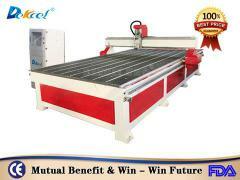 Suitable for all kinds of wood, acrylic, MDF and orther materials. Perfectly run in cutting, engraving and milling. Widely used in Construction, furniture, art, and advertising industry. 8. Humanized design, convenient for removing and installing. 9. Powerful compatibility for most of software such as: type3, Artcam, Proe, ArtCut, and a variety of CAD / CAM software. 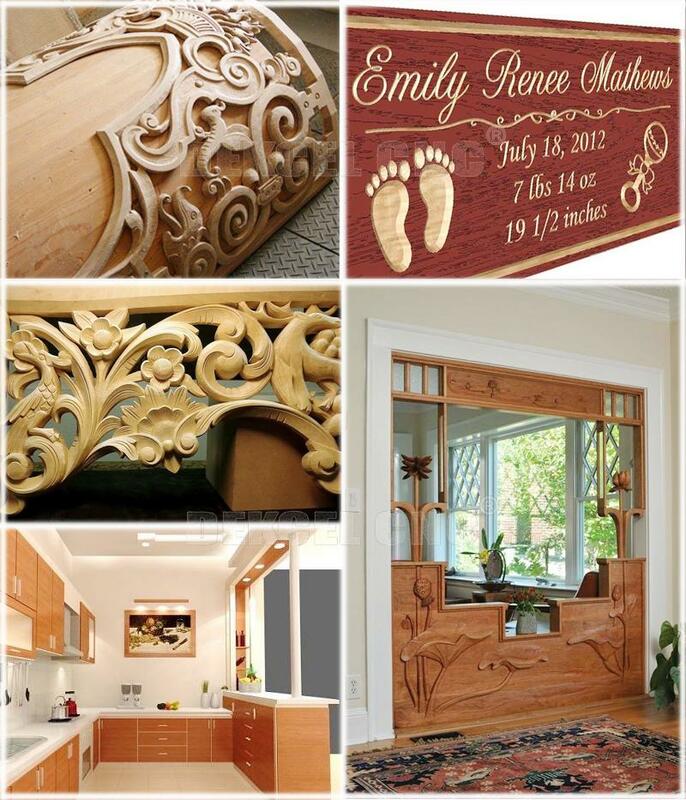 Widely used in advertising industry, solid wooden, archaize fruniture carving, musical insturment making, light box & mould, aluminum composite board processing, seal, metal scutcheon, bronzing board, carbon plate in battery, copper stamp, aluminum, oxhorn, printer’s blankey,arcylic, double color board, PVC, ABS, MDF,PCB, plastic board, wave board and other metal or non-metal materials,etc. 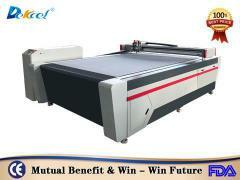 Because of this machine have a automatic tool changer System. you don't change the cutter yourself, the ATC system will do it for. More effecient. 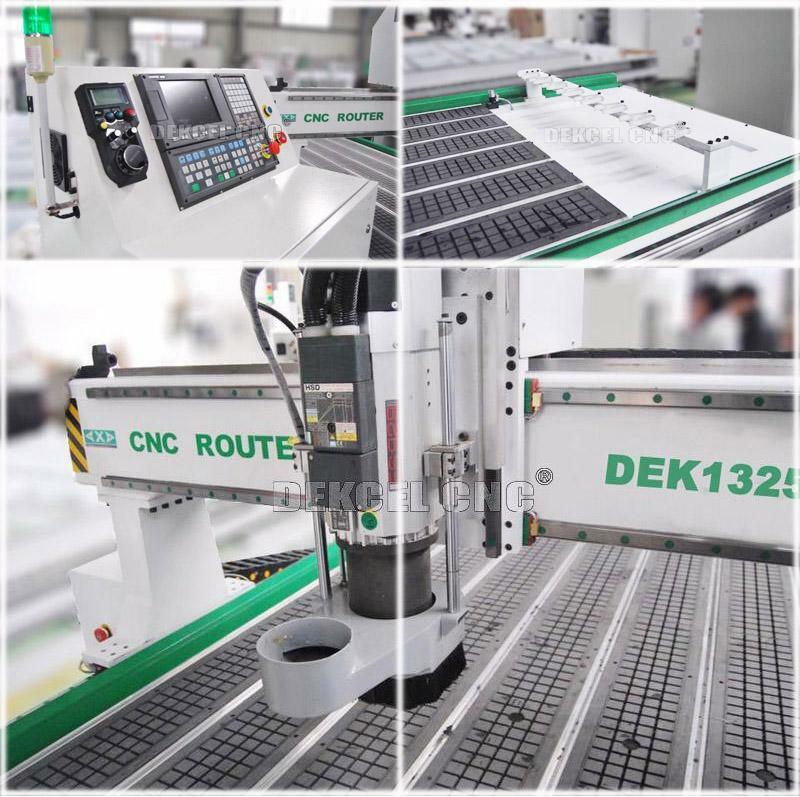 So if you are interested in our Automatic tool change cnc router for wood furniture carver machine, or have any question about ATC wood cnc router, please contact Jinan Dekcel Cnc Equipment Company, We are support service 24 hours online.